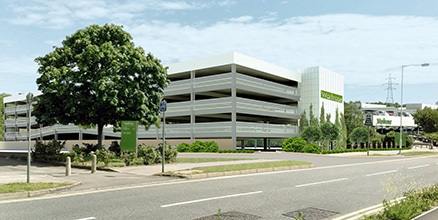 TPP were successful in securing planning consent for a new multi-storey car park for Waitrose at their Bracknell Campus. This proved to be particularly challenging as parking levels on the campus were already above present day standards. However, TPP were able to demonstrate that these standards had been set on the basis of very low employment density levels and that, on a like-for-like comparison basis, the number of proposed parking spaces per employee was in keeping with the parking standards. Apart from the Transport Assessment in support of the application, TPP were also successful in significantly reducing the level of Section 106 contributions sought by the local authority. We also updated the campus Travel Plan for Waitrose as part of the application, including an online survey of Partners’ travel habits.